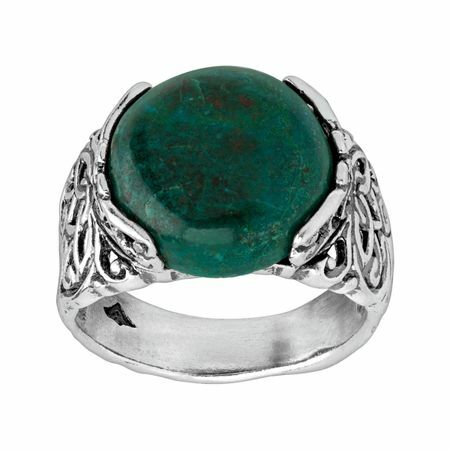 Open filigree sterling silver lends an airy feel to this bold ring, topped with a forest green chrysocolla for a rich feel. Ring face measures 5/8 inches in width. Piece comes with a “.925” sterling silver stamp as a symbol of guaranteed product quality.